AUBURN, Ala. (Sept. 16, 2015) — Anyone who knows anything about Kenny Chesney knows how deeply his passion for college football runs. So, it is with great pride that the only country act to grace Billboard’s Top 10 Touring Acts of the Past 25 Years becomes the first-ever concert at Jordan-Hare Stadium, home of the Auburn Tigers since 1939, when he plays the storied venue on Saturday, April 23, 2016. The show will be in conjunction with the inaugural Music & Miracles Superfest, created and presented by the founders of the Chicken Salad Chick Foundation. The mission of the Music & Miracles Superfest is to bring the biggest entertainers in America to one of the most notable venues in the southeast and raise funds for two of the greatest needs of the Auburn community. Proceeds from the concert will be targeted to fighting cancer and feeding the hungry. With the Music & Miracles Superfest serving as the first official date of Chesney’s 2016 stadium tour, the star-studded lineup will also include six-time Female Vocalist and four-time Album of the Year winner Miranda Lambert, multi-Platinum, chart-topping artist Sam Hunt and breakout country band Old Dominion. Lambert and Hunt are both nominated for CMA awards this year, with Lambert earning four nods (including one for Entertainer of the Year, along with Chesney) and Hunt earning three. 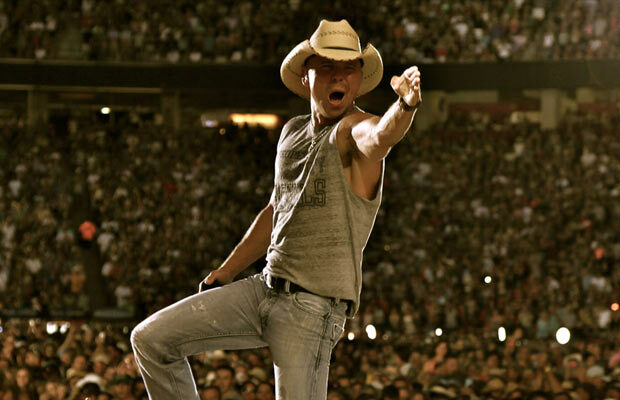 Chesney’s 2016 stadium tour will continue his record-breaking run as a live entertainer. Having sold over a million tickets before the first note was played on The Big Revival Tour 2015, Chesney will have scored 135 stadium shows by the end of this year. In addition to breaking attendance records ­­–– which he’d previously set –– at Pittsburgh’s Heinz Field, Green Bay’s Lambeau Field, Philadelphia’s Lincoln Financial Field and Minneapolis’ Target Field (for the third time), he prompted The Dallas Morning News to describe his appeal as “Two parts Mick Jagger, one part Bruce Springsteen and one part Billy Graham” following his AT&T Stadium show in Texas. The Chicken Salad Chick Foundation was established by Kevin and Stacy Brown in June of 2014. As the founders of the Chick Salad Chick restaurant concept, they knew very early on they would have the opportunity to positively impact many lives. The foundation focuses on two initiatives, fight cancer and feeding the hungry. Music & Miracles Superfest is all about BIG DREAMS. HIGH HOPES. TREMENDOUS IMPACT.